In my American undergraduate experience colleges are assigned by the field of study: Education, Business, Engineering, etc. Inside those colleges you may have a specific department where you spend most of your time. Durham’s department systems are not too far from that. As a post-graduate researcher in theology, I relate to the university through the Department of Theology and Religion. It is connected to the larger Department of Arts and Humanities. Once accepted to a post-graduate research program, you will be required to apply for membership to a college. Durham University boasts 16 colleges, 14 of which are on the Durham City campus. Each has a unique ethos that should be carefully considered when applying for membership. It is around this unique culture the colleges are built. Fellow members of your college are likely to be from a variety of academic disciplines: arts, sciences, law, theology, etc. The college gives you a community to study, play, and grow with. Interacting with researchers in various disciplines will enrich your studies. It is through your college that will matriculate to the University. There are a variety of factors to consider when selecting a college. A few colleges have accommodation available to post-graduates. Through is a good-natured rivalry between the colleges of the Bailey (those nearest the Cathedral, Palace Green, and the City Centre) and the Howlands (those nearest the cluster of academic buildings south of the River Wear peninsula) the colleges like to boast their own attributes. Each one has its one strengths. Carefully consider these when choosing one that is right for you. For a list of the colleges see: http://bit.ly/1m8kIbI The college environment is uniquely enriching for students of various disciplines and levels of education. Chose a college that benefits your personal and academic goals. The chapel where St. John’s and Cranmer invite students to share in a community of faith. Among the various benefits to consider about your college membership, weigh the academic community offered through your college. This was the major factor in my decision to join St. John’s College. 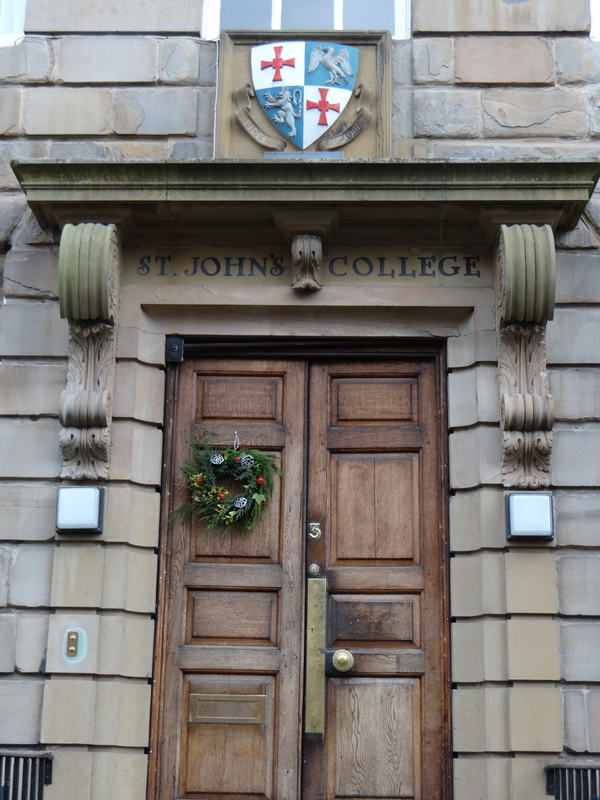 St. John’s has a degree of independence in its governance and has a special relationship with the University and Cranmer Hall, which serves (among other things) to prepare Anglicans for ordained ministry. It has a solid theological library, rich in resources in my areas of Biblical Studies, Christian Theology, Methodism and Missional Theology. 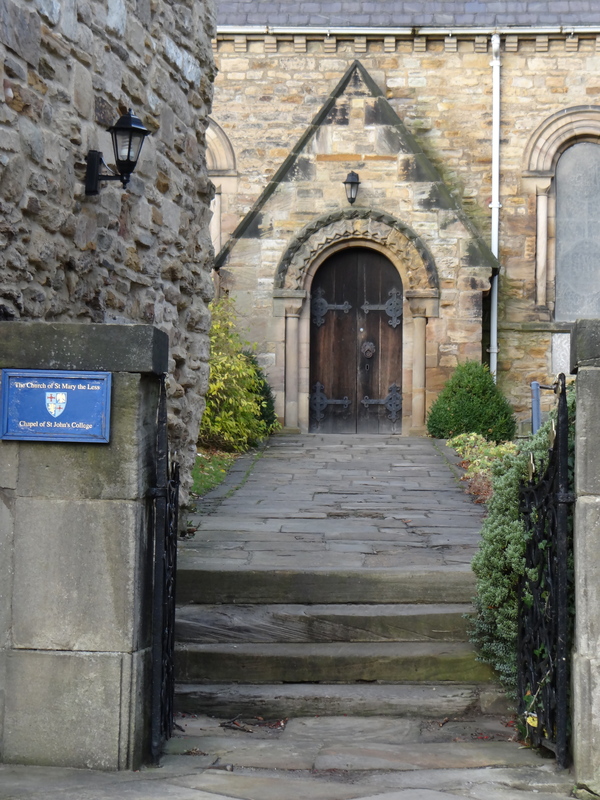 It is located on the Bailey, near the Theology Department, the Cathedral, the City Centre, and the libraries. It provides for a commonality of purpose in its students, while celebrating a diversity of educational gifts. When looking to chose a college, visit the University library’s website. Do a quick search for some of the works in your field. You may see a college that holds some of your research works. Consider this college as you will have access to the library as a member. Whatever your choice, make the most of your time in Durham by connecting with others and being enriched through these unique communities. Excellent article! I find the information on this site to be very helpful, since I will soon be applying to Durham in December for their masters program. Could you elaborate a little more on how you narrowed your focus? All the colleges seem to have strong points – but I find it a daunting task to choose one over the other. Hi Adam! Great to hear from you. Tell us more about your Masters program. Which one will you work on? That is one factor to consider when choosing a college.